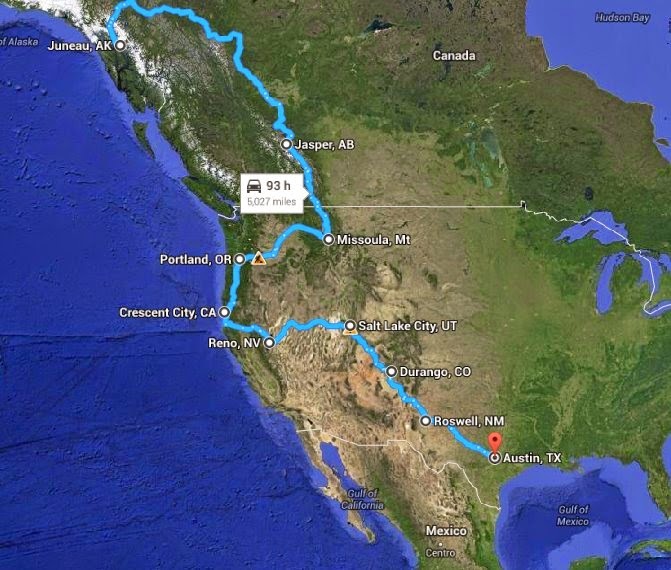 Recently Amy and her boyfriend Kelly completed a 32-day road trip from Juneau, Alaska to Austin, Texas. Considering they both suffer from Paleo/Geo Nerd Syndrome they made many stops along the way to admire the rocks of geological and/or historical significance, as well as a few stops to visit their nerdy friends like Meaghan! To recount this thrilling 7,000 mile opportunity to discuss regional tectonics and ancient seas we're bringing back our favorite form of poetry: Limericks. On to Texas and BBQ cooked in a pit in the ground!